Jennifer Thomas has risen quickly to the top as a corporate communicator, having been talent-spotted for rapid promotion at every company she has worked for. 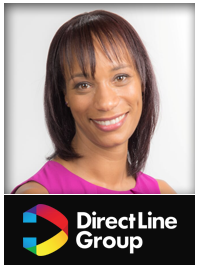 Currently, Jennifer is transforming the profile and reputation of Direct Line Group (DLG), now as Head of Internal Communications, Experience & Sustainability and previously as its Head of Financial Communications. Jennifer is part of the Group’s Strategic Leadership Team, responsible for developing the Group’s internal communications strategy, including employee engagement, the incorporation of the employee value proposition and corporate brand as well developing and executing a new corporate social responsibility strategy. Jennifer was involved in the IPO of RBS orchestrated by DLG and the biggest stock market listing of 2012. Jennifer had a former career as a UK Championships 400m runner and hurdler for England. 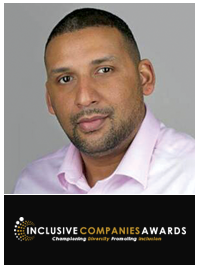 Paul Sesay is the Founder and CEO of the Inclusive Companies, Inclusive Top 50 UK Employers, National Diversity Awards and events company I Spoil U Media Limited since 2006. Paul’s business acumen has mainly been with a social focus. Christos is a people geek and a diversity & inclusion advocate with a career across different industries ranging from digital to social housing. 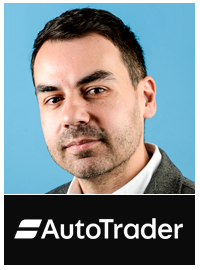 He spent four years at the Co-operative Bank before joining Auto Trader in 2014 where together with his brilliant team he focuses on creating a space where everyone’s uniqueness is celebrated and is empowered to thrive by being their authentic, true and best self. Driven by his passion for equal opportunities for all people, he leads the D&I and CSR strategies of one of the most admired digital businesses in the UK and 2018 Top 50 Inclusive Companies. Andrew is co-founder of dataHE and friend of the Inclusive Companies Awards. 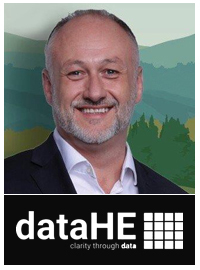 Prior to founding dataHE Andrew has held a number of Executive leadership roles, laterally in the higher education sector with UCAS. Andrew has been an active advocate, teacher, student and ambassador for equality and inclusion throughout his career, his passion being the ‘potential of the human’. Sam is the Chief Executive of the University of Bristol Students’ Union and has over 30 years of senior experience within the recruitment, training and education sectors. 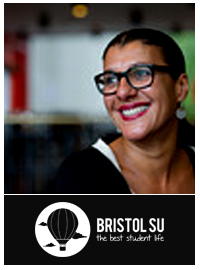 She has held several non- executive and trustee roles including most recently: membership of strategic advisory committees for the Higher Education Funding Council (HEFCE); trustee of NUS Charitable Services: board member of NUS Poverty Commission and a trustee of the Bristol Museums Development Trust. Sam has a particular interest in equality, diversity and inclusion  and as well a number of awards achieved by the Union in this field  she was personally short listed as Chief Executive of the year 2016 by the National Centre for Diversity, awarded the 2018  Simpson King Staff achievement Award by the national union of students  and recently received the 2018 Diversity Champion- Education Sector at the Inclusive Companies awards. She was a member of the University of Bristol EDI Steering Group and the Bristol Racism Taskforce set up to address racism on campus and beyond. She has worked in an advisory capacity with NUS to shape the Race Matters agenda and has been involved in the development and implementation of Careers in Students’ Unions the new employer brand that has been created to improve the diversity of the sector’s workforce. She is also a passionate advocate for mental health issues and was  a member of the 2018  Bristol Leadership Challenge an ambitious programme, convened by the Mayor’s City Office, aimed at addressing the systemic difficulties faced in the Bristol by those citizens experiencing complex mental health problems. 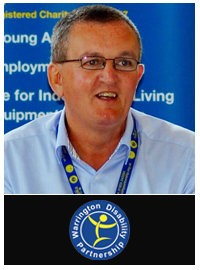 Dave is the founder and Chief Executive of Warrington Disability Partnership, a user led organisation, employing over 50 staff and nearly 200 volunteers. Together they provide a wide range of independent living services including two Independent Living Centres, Direct Payments and Payroll Services, Shopmobility, Inclusive Sports, and a number of Employment and Educational contracts. Until April 2015 Dave worked as a senior manager in the NHS. He started out his 20 year career as the UK’s first full-time Disability Advisor. Completing his NHS career as the Assistant Director of Inclusion where he led on equality & diversity, patient & public involvement and social inclusion. Dave has been involved in a number of high profile initiatives working with NHS Employers and NHS England, including policies and procedures still used across health and social care services. Jane has worked in diversity since 1990. 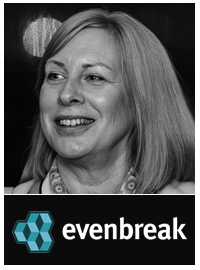 She founded Evenbreak in 2011, an award-winning social enterprise run by and for disabled people. This helps employers attract talented disabled people through a specialist online job board. Evenbreak is entirely staffed by disabled people. Jane runs Evenbreak either lying down with her laptop above her, or standing at meetings and events due to a degenerative spinal condition. Jane is widely published in this field, including the book “A Dozen Brilliant Reasons to Employ Disabled People”. She is a Trustee of two disability charities, Patron of the Inclusive Skills Competitions and on the executive board of the Recruitment Industry Disability Initiative. She was also a recruitment expert in BBC2’s “Employable Me”. 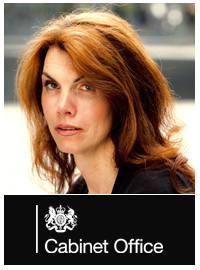 Jacqui Gavin is a well-respected transgender rights activist and Civil Servant. Jacqui joined the Civil Service in July 2009, initially she joined the Department for Work & Pensions working out of Warrington Pension Centre support and leading the departments transgender inclusion process and policy changes. This role allowed her to work with and be a recognised valuable resource across central Whitehall and allowed Jacqui to move into leading roles including Chair and deputy Chair in the central Civil Service network a:gender based out of the Home Office in 2010. Under Jacqui’s leadership this network became a much valued source beyond that of the Civil Service gulfing the gap between the public and private sectors. Following a successful seven years Jacqui transferred to the Department for International Trade as Diversity & Inclusion Lead in February 2017 and moved to the Cabinet Office as a Culture & Inclusion Manager in October 2018 where she now leads across the diversity spectrum. Her dedication in making a difference to the lives of transgender people both within government and as a leading transgender rights activist has been recognised by many leading organisations culminating in being awarded the 2016 Diversity Champion Award at the sought-after British LGBT Awards and in 2018 received the Head of Diversity Award at the WinTRADE Awards. In February her work was formally recognised by Prime Minister Theresa May’s Points of Lights Awards when she became the 1121st Winner of this coveted daily award.